See How can I get estate agents on my side as a buyer? Many sellers are frightened of being in a housing chain, because their ability to sell their home then depends on other people they don’t know being able to sell theirs. If you are able not to be part of a chain yourself, then you will put yourself in a stronger position. 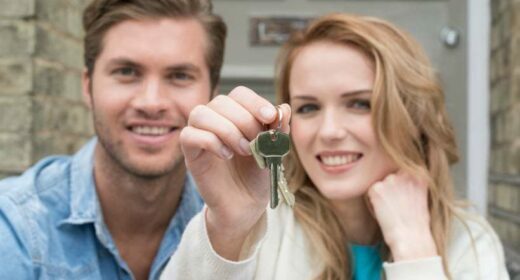 First time buyers will clearly not be part of a chain, but if you already own a home, there are many ways to make yourself chain free. See How do I break the housing chain? It seems that I was tempting fate. “It happens all the time,” my estate agent said when he told me that my buyers had had to pull out. I lost my dream flat, too. Back to the drawing board. My lovely estate agents worked their socks off and managed to sell my house again, for the asking price, just a fortnight later. That is a given, and I have and plan to continue to email every agent in my town every two or three days until I find a property which suits and which I can afford. But there is a shortage of those I’d be able to live in – ie ground floor flats of a decent size. I can’t escape the fact that one day I might have to be in a wheelchair and modern flats are definitely not designed for that. Hi Sue, thanks for your comment. Please email us if you need any help. Hello, I am finding HOA very helpful. After a quiet couple of months around Christmas (a daft time to try to sell my house) I got an offer only slightly less than the asking price. I accepted it since the couple who wanted to buy were not in a chain, have a verified mortgage offer, provided details of their solicitors and are about to sign a memorandum of sale, and have family links in my town. I own my house so don’t have to rely on mortgage funding. Now I am hunting furiously for a ground floor flat rather than a house because it’s getting more and more difficult for me to climb stairs. Good ones are as rare as hen’s teeth in my area and are snapped up almost as soon as they are put on the market. The variation in quality for the price asked is quite mind-boggling, from the modern ones, some of which seem to be cobbled together and are badly finished, to the older properties some of which are good, others which aren’t for all sorts of reasons. My estate agents have been a very present help throughout, and seem not to have tired (yet) of my daft questions – it’s over 30 years since I last did this. They are looking out for a property which fits my spec as closely as possible. I do recognise that I probably shan’t find what I think is a perfect place and that a certain capability to compromise is necessary to do this at all. UPDATE (and I hope I am not tempting fate here) the estate agents have been in touch and have notified me of a property which is about to come on the market, in the area I want to live, which seems to tick all the boxes although it is a little more expensive than others I have seen. I haven’t viewed it yet but I shall be, with the valuer, when I meet him there literally just after he and the seller have signed the contract to put it on the market with his firm. I don’t know how that happened! I have a good working alliance with the agents who are, as I have said, helpful and pleasant, but this is the first time I have ever been first in the queue for anything!